For years Dalits have been celebrating the victory of the Battle of Bhima Koregaon, that was fought on January 1, 1818, but this year they were opposed by 'right wing' groups. New Delhi: For decades Dalits have been celebrating the victory of the Battle of Bhima Koregaon, that was fought on January 1, 1818 but this year they were opposed by 'right wing' groups.The fault line between Marathas and Dalits in Maharashtra are once again exposed. Many say the violent protests since January 1 are a grim reminder of underlying Dalit oppression in the state. Two hundred years ago, Maratha forces led by Peshwa Baji Rao II tried to attack Pune which was held by the British. The British authorities dispatched a strong contingent of forces to defeat the Marathas. The battle was fought for 12 hours after which the Marathas were forced to retreat. Dalits traditionally celebrate this day as most of the soldiers in the Bombay Native Infantry which fought the Peshwa's men were Mahar Dalits. Dalit thinkers and activists consider this victory as a significant episode in history. Many Dalit activists think it was a victory of the oppressed over the upper-caste establishment of the Marathas. 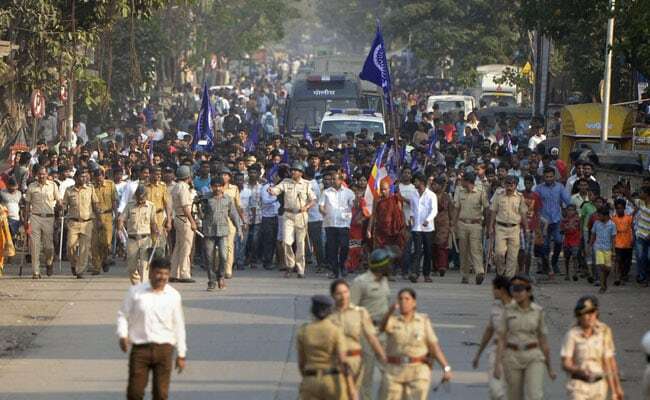 Like every year, members of the Dalit community from all over Maharashtra gathered in Koregaon Bhima to celebrate what they call their victory over Maratha Peshwas. This year was the 200th anniversary and that attracted a much larger crowd on January 1, on the outskirts of Pune. 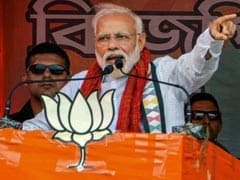 'Right wing' groups opposed the Dalit celebrations saying they cannot observe a 'British' victory. The clash between 'right-wing' groups and Dalits who had congregated there turned violent with stone pelting and arson between two groups. One person, Rahul Fatangale, died in the violence and several were injured. Protesters also blocked traffic on the Pune expessway and rail tracks. Chief Minister Devendra Fadnavis ordered a probe and warned that there is no place for casteist violence in Maharashtra which is a progressive state. This year the celebrations at Bhima Koregaon got a political colour with Jignesh Mewani, the newly elected MLA of Gujarat attending the event.